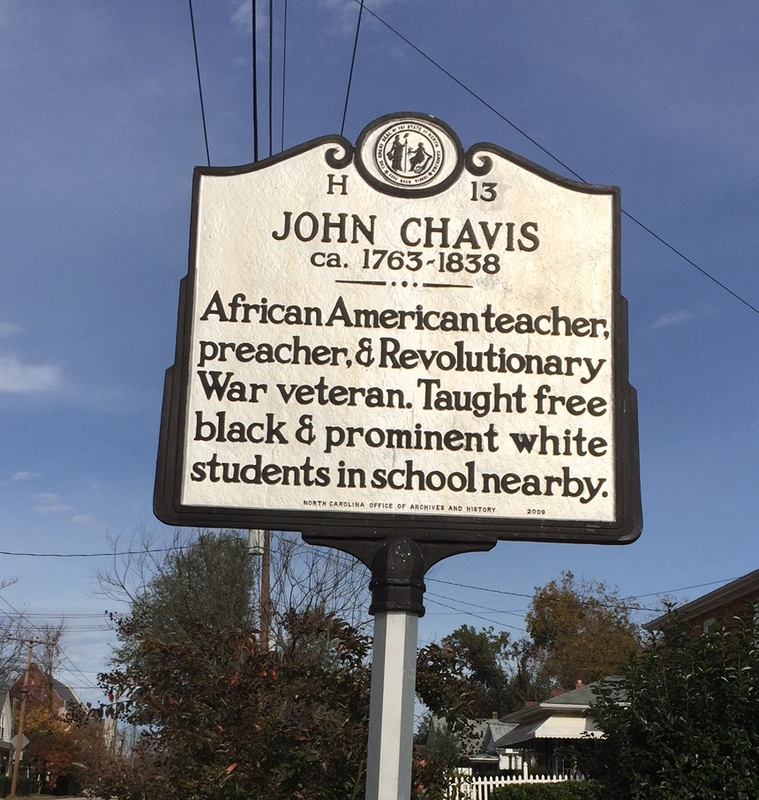 On June 15, 1838, John Chavis, African American teacher, preacher and Revolutionary War veteran died. Born sometime around 1763, Chavis had an extensive education for the time period, likely the best education of any African American of his day in North Carolina. In 1778, Chavis enlisted in the 5th Regiment of Virginia, serving for three years with the patriots. Honorably discharged, he studied at what is now Washington & Lee University. Between 1801 and 1807, Chavis did mission work for the Presbyterian Church among slaves throughout the southeastern United States. In 1809, he moved to Raleigh, where he began preaching as a part of the Orange County Presbytery. It was around this time that Chavis began his school, where he taught white students during the day and black students in the evening. In 1832, free blacks lost many of their rights in North Carolina, and Chavis lost his freedom to preach and to teach. In 1833, he published his only written work, a sermon entitled An Essay on Atonement. The piece was successful and widely read, and helped to supplement his income during the final years of his life.